The rewards of spending time camping and hunting is priceless, not everybody who has the desire possesses the means to do it. I believe getting hold of the most recent and technological driven gear is worth it as you try to maintain sanity and safety in the wilderness or great outdoors. To facilitate a great camping and hunting delight for your wild adventures below is a compilation of the 5 coolest high-tech gear available in 2017. The worst nightmare after spending time gathering and chopping wood for a campfire is struggling to light the fire. Fortunately, the exotac nanostriker fire starter avails an ultra-portable as well as a collapsible feature that has been proven to give users not less than 2800 fire starting strikes. It is made of 6061 aluminum and has a replaceable 1/4” Ferrocerium rod that still lights even when a little bit wet. It cost an average of $27 and has a range of colors to choose from including black, orange, green and grey. This is a fully modulated system that encompasses the F1 Mainframe and a set of A6SB Batwing pouches. The pouches are versatile and can be swung apart, and a dry bag can be zipped in between the pouches. When the system is spread further apart, you can be able to insert a large game quarter between the frame and the dry bag. Alternatively, everything else can be removed, and the frame alone used to transport meat. The harness is tight and comfortable. The fabric used to manufacture the pack system is waterproof, and everything else is hydration compatible. It has a retail price of $260 and above. It is thus an impressive and an extremely customized system. When it comes to bows, 2017 will go to record books as the year when the price of significant performance dropped drastically. The martin carbon featherweight is a 340-IBO carbon-riser type of bow. There are many bows on the market with an approximate price of $1200. This one costs half of that. It shoots rather well given its price. It is difficult to find a bow with a short carbon-riser with at such a price and performance. Camping frustrations always arise when a piece of equipment becomes faulty. Well, that will not be the case anymore. Handpresso Wild Hybrid Espresso Machine makes it possible to have caffeine-infused foods while camping or hunting. The small size of the machine makes it highly portable and packable. 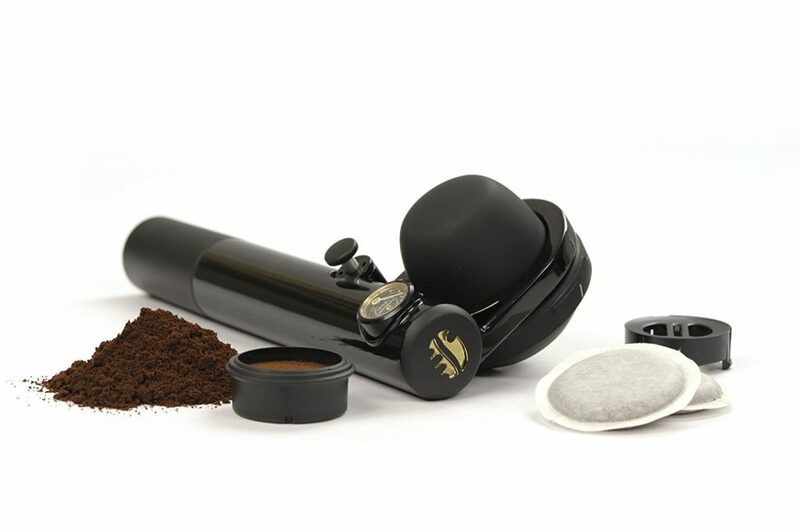 So the Handpresso fits well into all camping or hunting backpacks. It is available at an average price of $130. This is the most innovative answer to annoying mosquitoes. When surrounded by mosquitoes Thermacell covers you by repelling the mosquitoes. It has a can of Isobutane fuel which is similar to the fuel used in the typical backpacking stove. It weighs 4 ounces and runs up to 90 hours when operated on a 4 oz. fuel canister. 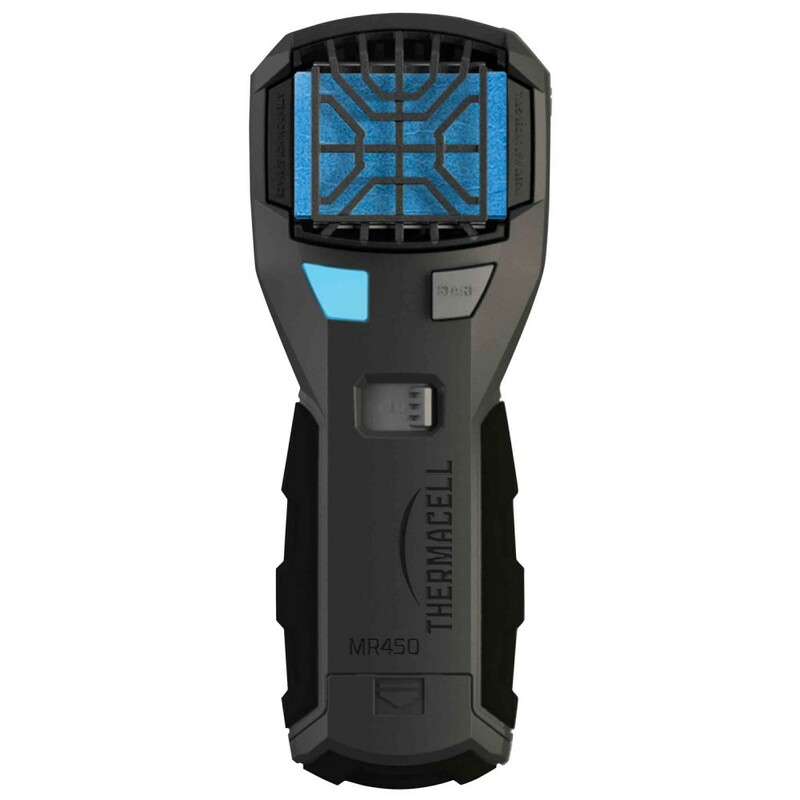 The Thermacell has a piezo lighter, creates 225 square foot of foot refuge from mosquitoes, and is not harmful to humans or pets. It retails at an average price of $39.